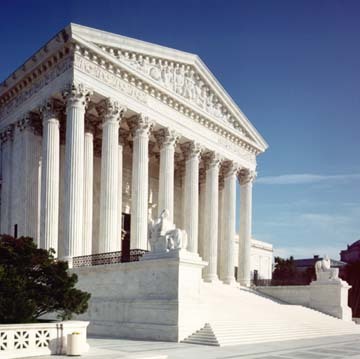 The Supreme Court building of the United States. The Supreme Court would begin to tackle these questions. In the case of U.S. v. Cruikshank (1876), the Court held that the First Amendment right to freely assemble and the Second Amendment right to keep and bear arms did not apply to state governments. States could limit these rights without violating the Fourteenth Amendment. Over the next seventy-five years, the Court’s use of the Fourteenth Amendment increased. It used the Due Process clause to strike down many state laws and to incorporate parts of the Bill of Rights. Cardozo’s words, unfortunately, give little guidance for determining what rights are fundamental. 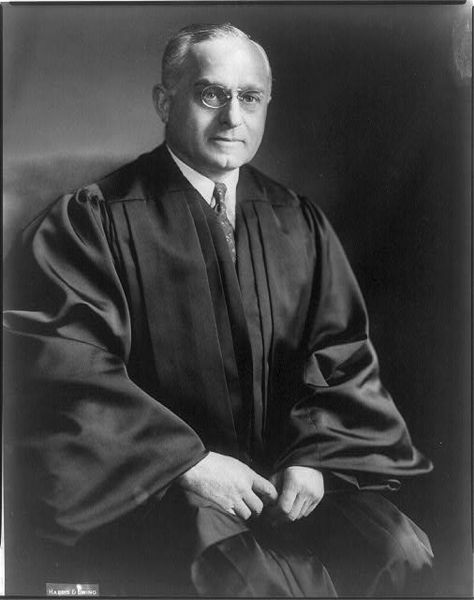 The most famous debate on incorporation was waged between Justices Hugo Black and Felix Frankfurter. Dissenting in Adamson v. California (1947), Black supported “total incorporation,” the idea that every provision of the Bill of Rights applies to the states. The due process clause of the Fourteenth Amendment, Black argued, protects the life, liberty and property of Americans, and the most complete expression of American liberty is found in the Bill of Rights. Black retorted that Frankfurter’s flexible philosophy “must inevitably imperil all the individual liberty safeguards” found in the Bill of Rights. Incorporation increased the Supreme Court’s power to define rights, and changed the meaning of the Bill of Rights from a series of limits on government power to a set of rights belonging to the individual and guaranteed by the federal government. 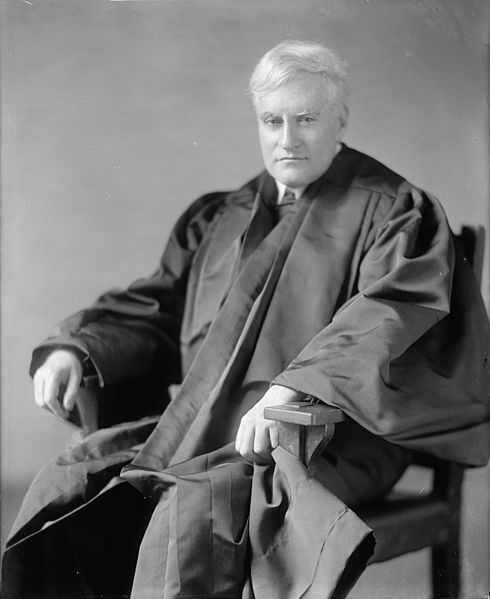 With incorporation, the Supreme Court became busier and more influential. The effect of the Fourteenth Amendment may or may not have been anticipated by its authors or the generation that ratified it. Some historians say that the post-Civil War amendments so fundamentally altered the Constitution that the time period was, in effect, a revolution and a new Founding. Looking back over the American history you have studied so far, and your knowledge of constitutional principles as the Founders understood them, what do you think? The individual liberty safeguards in the Bill of Rights go beyond a list of rights. Individuals have natural rights that are not listed in the Bill of Rights. The Ninth and Tenth Amendments make clear that rights and powers not listed remain with the people. One consequence of incorporation has been for the Court to seemingly place more value on those individual rights which are enumerated in the Bill of Rights than those natural rights which are not listed. The Founders had worried that future generations might think that listing some rights would cause people to think that the others were less important. This worry was one reason the Federalists had opposed adding a Bill of Rights to the Constitution. The Ninth Amendment was among the amendments added in 1791 for that reason. As the Supreme Court’s responsibilities increased along with the legal protections afforded American citizens, the federal government has become larger, especially since 1900. The federal government has expanded in regard to business regulation in the early 1900s, New Deal programs (1930s), military strength during World War II, anti-poverty Great Society programs (1960s), environmental regulation and education (1970s), the war on drugs (1980s), health entitlements (1990s), education (2000s), and a mandate for individuals to buy health insurance in the 2010s. During the same period, state governments have also expanded. All this growth in local, state, and federal activities has extended the Supreme Court’s reach as the number of possible conflicts involving the law has risen.